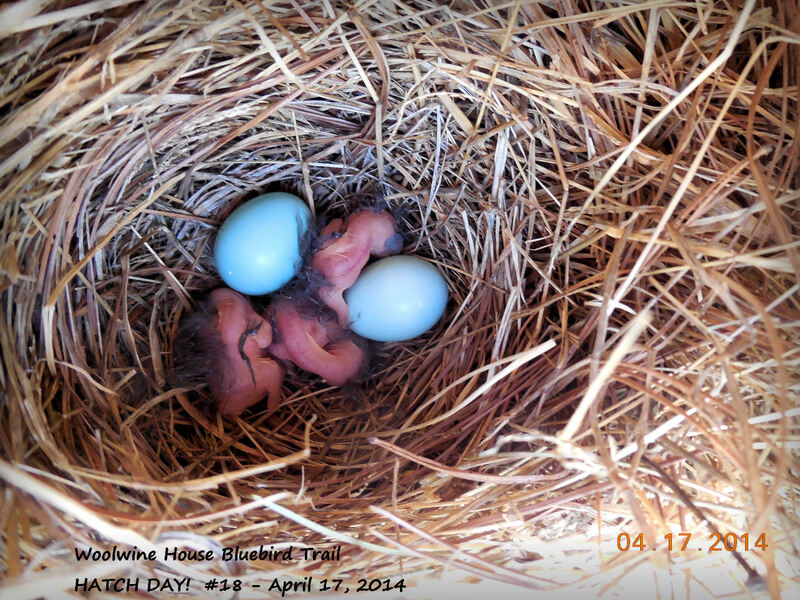 ← FIRST FULL CLUTCH OF BLUEBIRD EGGS IN INCUBATION FOR 2014. Here they are–the first! In spite of two nights in a row with a freeze of 20 degrees overnight, they made it, at least these three. I will check tomorrow to see if the other two hatched. The brooding female was on the nest when I arrived. I bet she sat on this and kept them warm in our coldest and longest spring snap I can remember in a long time. Here we go! More on the way! This is what I call Easter Eggs! Wonderful.